Pride and Prejudice Regency forced marriage scenario. While visiting her friend Charlotte at Hunsford cottage Elizabeth finds herself in a compromising situation with Mr Darcy. 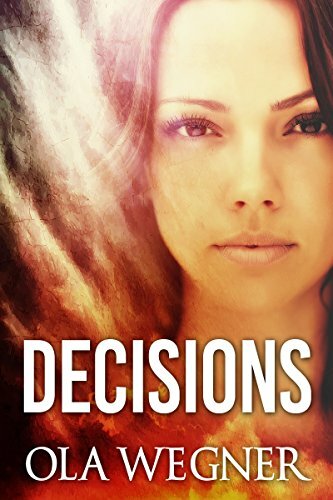 Forced by the unfortunate circumstances she had to reconsider his offer of marriage. Will she find happiness in a marriage to the man whom she professed to hate? “You must be aware that you simply cannot leave for Hertfordshire before the two of us come to an understanding,” he said. She stared into his face almost pleadingly, waiting for his response. “Is your intention to offend me even more than your aunt did, Mr Darcy?” she asked sharply. His only response was his gaze switching from her eyes to her mouth. 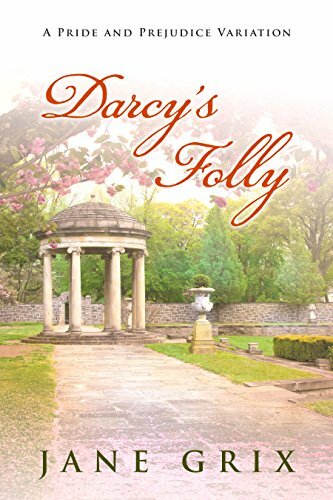 Darcy’s Folly is a variation of Jane Austen's Pride and Prejudice, a novella set in the Regency Era. A childish prank forced them to marry. Now, Elizabeth and Darcy must make the most of their union, only Lizzy is convinced her husband could never love her.Is convinced that it is really Anne, the daughter of Lady Catherine de Bourgh, whom he loves.Brgh, whom he loves. 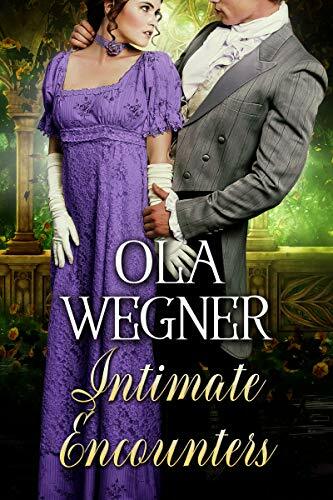 But with the holiday season comes a chance to truly begin their marriage…if only they can escape the machinations of those with ulterior motives…and if Darcy and Elizabeth can finally admit to each other the depths of their affection. 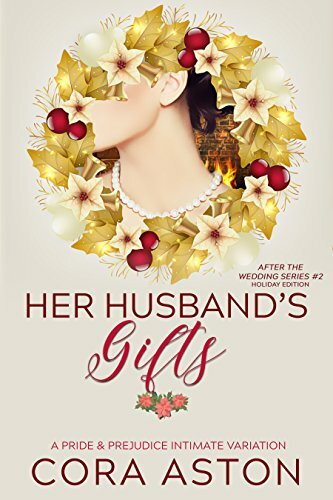 Her Husband's Gift is the second passionate novella in the After the Wedding Series, vignettes reimagining what may have happened with Mr. Darcy and Elizabeth at Pemberley after they married. These stories will not necessarily be told in chronological order or even feature the exact same Darcy & Elizabeth. Each short will include a tastefully written steamy sensual scene which enhances the exploration of marital intimacy between ODC. Variation #1 in this series is Her Husband's Affection. If you crave tales depicting the passion, angst, and temper of ODC as they navigate tumultuous but loving marriage, you will enjoy the After the Wedding shorts. Download now for an emotional, romantic tale of the passions and struggles of marriage. A locked door can change everything. Mr. Darcy loves Elizabeth Bennet but does not want to marry her because of her inferior connections. Elizabeth Bennet would not marry Mr. Darcy if he were the last man in the world. But then circumstances force them to spend a night together and a speedy marriage is the only remedy to lessen the scandal. Read to see what happens in the morning. In chapter 21 of Jane Austen’s Pride and Prejudice Mr Wickham makes a charming apology to Elizabeth Bennet over his prior absence from the Netherfield Ball. The reader later discovers the truth of this situation; that Mr Wickham was keen to avoid Mr Darcy that night – for it was entirely possible that he could have faced (entirely justifiable) retribution from Mr Darcy if he had attended. The reader – and Elizabeth – are unaware at that point in the novel of Mr Wickham’s true, deceitful nature – and, of course, no one in wider society is aware of Mr Wickham’s scandalous behaviour concerning Mr Darcy’s younger sister. However, in this alternative narrative, the reader is shown how events could have varied in Pride and Prejudice if Mr Wickham had thrown caution to the wind and had instead attended the ball on that fateful evening. 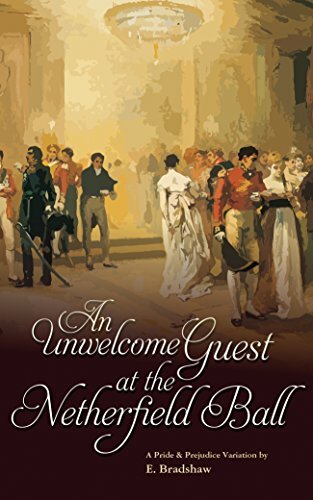 In this re-telling of the famous story, events start on the evening of the much anticipated Netherfield ball, and Elizabeth quietly frets to herself over the potential for her family to create a public scene. She knows very well that Mr Bingley’s conceited sisters hold her family in contempt, just as she is very aware of Mr Darcy’s obvious disapproval. She dreads the prospect of enduring her promised dances with Mr Collins, and is appalled at her mothers’ blatant matchmaking efforts. However, with the one pivotal change – of Mr Wickham being unexpectedly present at the ball – Elizabeth’s night, and her prospects for an enjoyable evening, change completely. And as a consequence of his attendance at the ball, the events of the novel begin to differ from there onwards as well. The neighbourhood of Meryton is entirely scandalised when Elizabeth takes a dance with the gallant Mr Wickham – and Mr Darcy is beside himself with rage to see the woman he secretly admires dancing so merrily with his arch enemy. In fact, Mr Darcy is so unsettled by the sight of Elizabeth dancing with his enemy, and so jealous, that he acts immediately to separate them. 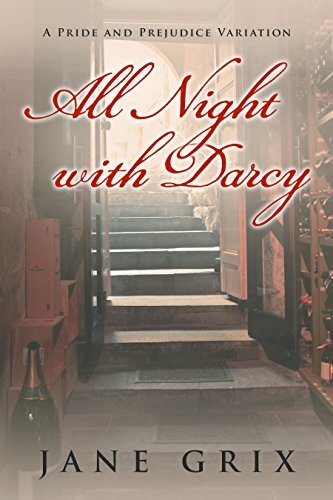 Unfortunately for Elizabeth, this is only the first of a series of humiliating experiences that she is to face that evening – and the consequences of Mr Darcy’s actions are to cause a scandal which will unavoidably change her future. 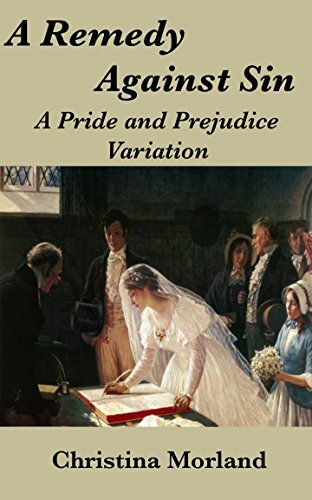 A Pride and Prejudice variation featuring a forced marriage of convenience between Darcy and Elizabeth!When Elizabeth Bennet is the victim of a cruel trick at the Netherfield ball, she is hopelessly compromised and forced to accept a proposal of marrf marriage from Mr Fitzwilliam Darcy. As she starts a new life as the mistress of Pemberley, she finds herself drawn to her handsome, noble husband. 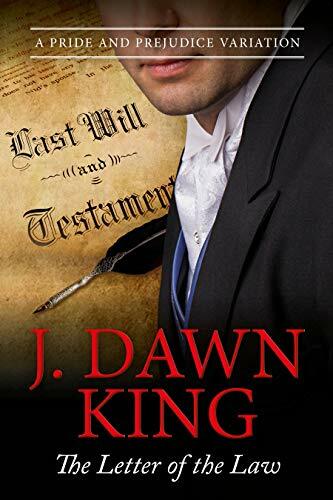 But with malicious lies and hurt pride coming between them, will Darcy and Elizabeth be forced apart or will they be able to turn their marriage of convenience into one of love? Fans of sweet, clean romance will enjoy this Regency romance with a new twist on the story of Jane Austen’s most beloved couple. In marriage-minded Regency England, one simple word can ruin your life. Compromise! 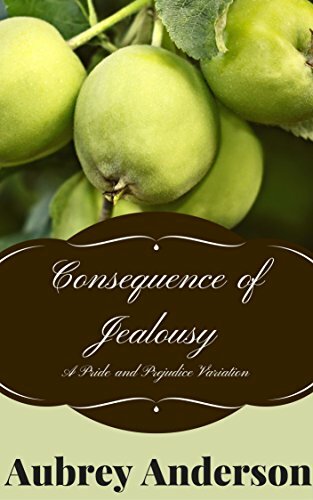 can bring down a virtuous maiden, like Miss Elizabeth Bennet, and her entire family along with her.When Elizabeth finds Mr. Fitzwilliam Darcy outside Netherfield, aloerfield, alone and at his most vulnerable, she must make a quick decision to bend the rules of propriety to help him or turn her back on someone in need. Her tender heart reaches out to him and his wounded one grabs hold of her well-intentioned support. Discovery changes the course of their lives as Elizabeth is forced to accept a reluctant proposal of marriage from this man whom she has just barely begun to respect. Can Jane Austen’s most beloved couple reach a compromise that might turn a tenuous friendship into a loving marriage? Will it survive as desperate, unscrupulous, and foolish people alike set compromising machinations into motion for their own greedy ends? 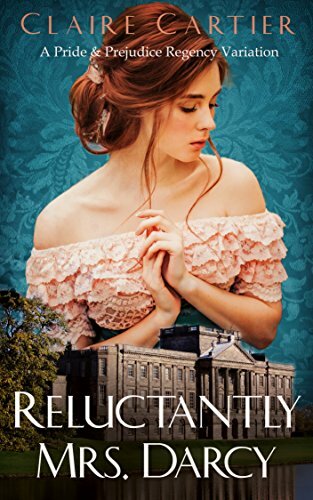 Darcy may have been forced to marry Elizabeth Bennet — but nobody could force him to live with her.Enraged at the Bennet family's manipulation, Darcy takes his new wife to Pemberley and leaves her there. He returns to London, with every intention of every intention of making his life apart from her. But as time goes on, he cannot avoid the feeling that he has left something very special in Derbyshire. Perhaps it is not just Pemberley he misses? Estranged from her family, and now trapped in a marriage she never wanted, Elizabeth must make a new life alone. With her husband's family against her, she needs to take drastic measures if she is to find a way through this. The only question is, does she want to escape from Darcy, or to him? Can a family's betrayal ever be forgiven? And when a marriage starts without love, can love ever be found? 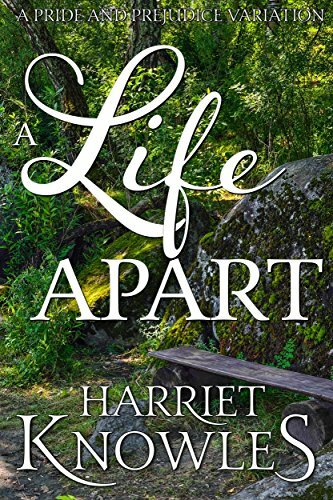 A Life Apart is a sweet and clean Regency Romance of 94,000 words. One month to find a wife he can live with forever.Mr. Fitzwilliam Darcy is desperate. If he doesn’t marry within 33 days, he loses guardianship of his sister to his cantankerous aunt Lady Catherine de Bourgh. His diligent search within the ton was ine ton was in vain, so he heads to the country with his mind filled with determination and his heart hoping for love. Miss Elizabeth Bennet is desperate. Her father’s disinterest in their estate has resulted in concern for the future of her family. When circumstances become precarious, Elizabeth accepts an offer from the last man on earth she suspected would be interested in marriage to her. Will the hero and heroine of Jane Austen’s Pride & Prejudice find their happily-ever-after when the odds and the wickedest of enemies are against them? Follow Elizabeth and Darcy in this novel-length Regency romance as J. 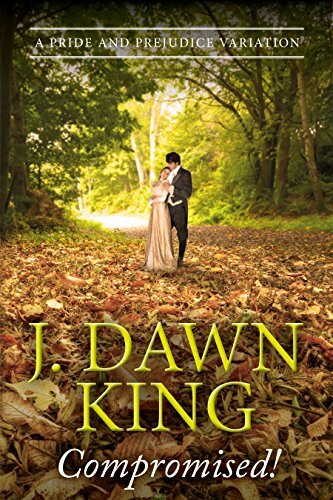 Dawn King takes them through a sweet adventure where their happiness comes only if they obey The Letter of the Law. By the author of Amazon bestsellers Compromised! and The Abominable Mr. Darcy. "Happiness in marriage is entirely a matter of chance," or so Charlotte Lucas claims. Elizabeth Bennet and Fitzwilliam Darcy put this notion to the test when they find themselves in a passionate and unexpected marriage. People will talk.When Mr. Darcy left Netherfield, he thought he would never see Elizabeth Bennet again. But a chance meeting brings them closer together. After an accident, he saves her life, only to ruin her reputation. Elizabeth still dislikes hh still dislikes him and fears that becoming Mrs. Darcy will be a fate worse than death. 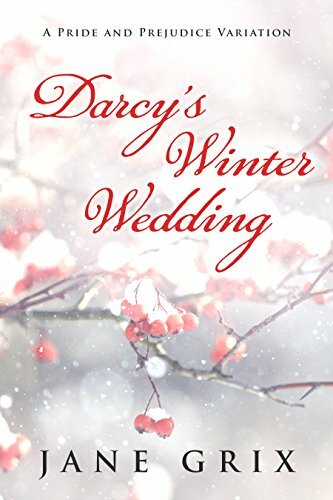 Darcy's Winter Wedding is a variation of Jane Austen's Pride and Prejudice set in the Regency Era. In the wilds of Hertfordshire, Caroline Bingley knew that she was without equal--especially as the reputed "Bennet Beauties" failed to hold a candle to her beauty, fashion, and comportment. So why did she have to watch the gentleman of her dreams, Fitzwilliam Darcy, find himself ensnared by a pair of "fine eyes"? Even worse, it was not only Mr. Darcy that had been ensnared, but her brother as well, by the beautiful Miss Jane Bennet. The situation did not improve, to Caroline's dismay, as Miss Bennet's dinner invitation ends in her illness and the arrival of her impertinent sister, Miss Eliza. It is on the last night of their stay, that tempers flare, and then cool with the knowledge that the Bennet sisters shall soon be gone from Netherfield, and away from Charles and Mr. Darcy. Soon thereafter, rumours begin to spread of Miss Eliza and Mr. Darcy being seen in a compromising position at Netherfield! To Caroline's dismay, Mr. Darcy and Miss Eliza become engaged almost immediately, yet she cannot find it within her to accept defeat. Join Elizabeth and Darcy as they ask themselves the most important questions that pertain to marriage, love, and family, while also making new friendships, and discovering each other's true character in a time of adversity. This is a forced marriage novel that is approximately 80,000 words. This novel contains approximately 1,00 words of a sample short story, that is currently untitled. 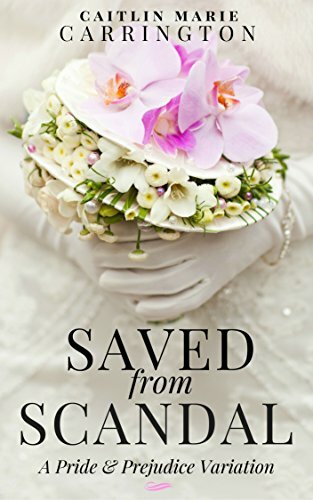 Saved from scandal...but ruined by love?Elizabeth Bennet is shocked when the unthinkable happens at the Netherfield ball. And no, she is not referring to proud, pompous Mr. Darcy asking her to dance—though that was a surprise, as was his fine dancingas his fine dancing ability. But when Elizabeth takes a moment to cool herself on the verandah outside, Mr. Wickham shocks her by crashing the party—and then attacking Elizabeth! He's madly intent to ruin her in front of her friends, family, and most especially Mr. Darcy. But when Darcy is the first to discover Elizabeth and Wickham in what appears to be a compromising position, the master of Pemberley shocks her and saves her—by claiming Elizabeth has promised to marry him! To a haunted man who can never love her back. Gentle readers, please note that my past books have featured our dear couple in quite intimate scenes. This particular Pride and Prejudice variation focuses on the blooming love and emotional connection between Mr. Fitzwilliam Darcy and Miss Elizabeth Bennet. (Alright, and a few fiery confrontations!) But the newlyweds DO share heated, sensual moments, as well. Get ready for a deliciously scandalous adventure! Caught in another’s scheme, Darcy and Elizabeth must marry or face ruin. 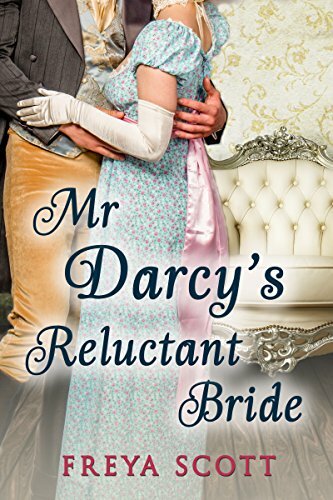 Elizabeth believes Darcy to be a proud, dour gentleman who cannot allow himself to be happy. She attends the Netherfield Ball in hopes of a promised dance with the handsome Mr. dance with the handsome Mr. Wickham. When Wickham asks her to meet him in the Netherfield Library, she is cautious but willing to hear the gentleman out. Instead, Mr. Darcy meets her, intent on saving her from a mistake she hasn’t yet made. And when his passion surfaces, he kisses her only to have Miss Caroline Bingley throw open the library doors in hopes of finding a scandal. Now Elizabeth and Darcy must marry, else she is ruined and the scandal will prevent the happiness of her sisters. Over the course of their marriage, Elizabeth learns more about the man she once thought cold-hearted and ill-humored. Indeed, she finds herself falling in love with her husband and can only hope that he returns her sentiments. But their newly-formed affections are tested as Wickham steals Lydia away, Mr. Collins is revealed to have a dangerous temper, and Miss Bingley does not allow a marriage to stand in the way of her own inappropriate designs. Reluctantly Mrs. Darcy is a sweet, clean, and wholesome romance featuring Our Dear Couple in this Pride & Prejudice Variation. It is complete and features a compromising situation, forced marriage, gentlemanly behavior, the love of sisters, and a true romance of the heart with a guaranteed happily-ever-after. Pride and Prejudice Regency forced marriage scenario. Mr. Bennet suddenly dies in a carriage accident. Elizabeth is faced with a chance to save her family with a renewed proposal from someone she considered the last man in the world whom she would ever marry. On seeing her, he stood immediately to his feet. “Allow me to help you,” he said. Darcy took the heavy tray from her. Elizabeth cleaned her father’s desk from the books and Darcy put the tray there. Elizabeth was silent as she fixed the tea for him. “Milk and sugar, if I remember correctly,” she said. “Yes, thank you.” He took the cup from her, touching her hand lightly in the process. “I am afraid that we can offer you only a plain cake,” she said apologetically. Darcy drank his tea, his dark eyes wandering over the room. “I can see that you are in the process of moving,” he stated the obvious. They enjoyed their tea in silence. Elizabeth was hoping that the visit would come to an end soon. After what had transpired between them that afternoon at Hunsford, she had not thought to see Mr Darcy ever again. His visit today was utterly unexpected. “I trust that your family is in good health taking into consideration the circumstances,” he said. Elizabeth bowed her head, allowing herself a small smile, hearing relief in his tone and expression. She could easily believe that Mr Darcy was not eager to see Mrs Bennet. “May I ask what are your plans after leaving Longbourn?” he asked. “May I ask for some more tea?” he asked. Elizabeth smiled. She refilled his cup. “Thank you,” he said. He took a sip before putting the cup back on the tray. He rose to his feet and began pacing the room, raking his fingers through his hair. Elizabeth watched him from her seat. A feeling of unease filled her heart. What was the true purpose of his visit? Elizabeth opened her pink lips, staring up at his towering form, standing over her. “Allow me to resubmit my offer of marriage, Miss Elizabeth,” he said, his features etched with determination and resolve. Elizabeth felt that all the strength momentarily left her body. The teacup which she held in her hands fell onto the carpet, spilling the rest of the tea on her black dress. She watched Darcy, who knelt in front of her, picking up the cup and saucer, which were thankfully not broken. “Have you burned yourself, Miss Elizabeth?” he enquired gently, gazing into her eyes. He sat back on the opposite chair. “I am awaiting your answer,” he reminded her. She cleared her throat. “I am not certain if I understood you correctly, sir,” she spoke weakly. Elizabeth looked at her hand, lying in his. She shook her head. “It cannot be,” she whispered. “Yes. No.” She shook her head. “Let us meet at Oakham Mount,” she proposed. “At midday."